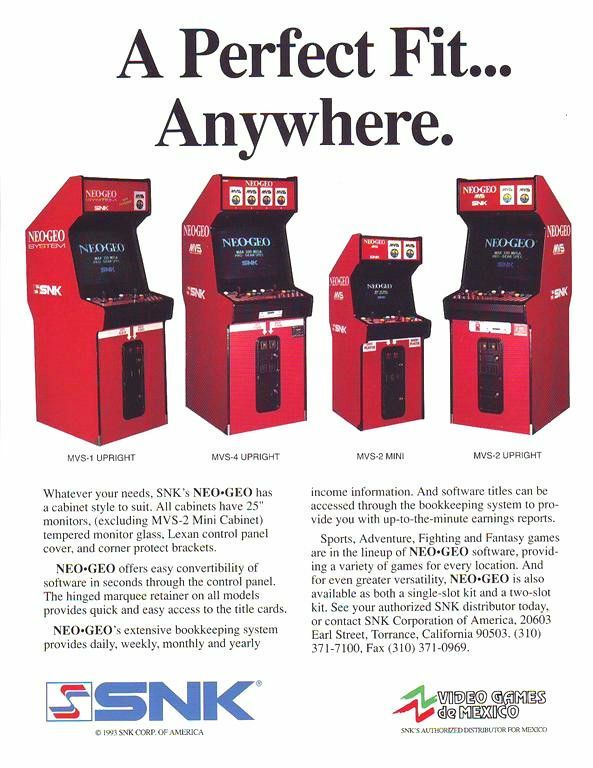 Ever since I bought my Neo Geo clone cabinet, I’ve been wanting a real Neo Geo cabinet. 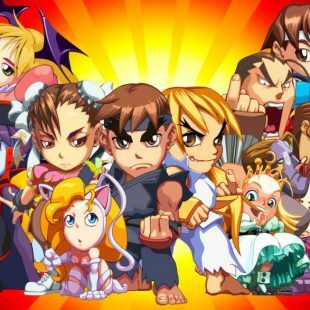 It’s one of those games that I forgot to remember. 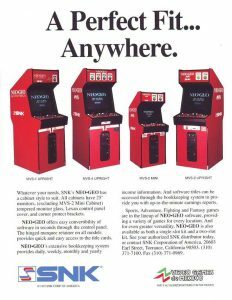 I attribute this to the fact that I never owned a Neo Geo home console, so the only time I ever played it was in the arcades. When I bought the clone, I intended to only get a cabinet, so I picked out the best looking “broken” unit at the auction. It turned out that the Neo Geo 4 slot was working, but the monitor was not. After picking up a replacement chassis, the monitor was back in business and thus my Neo Geo interest was officially rekindled. I immediately began my search with the typical sources (eBay and the KLOV Forums), but all I kept finding were either broken down hovels or ‘ok’ condition units where the seller thought they could get $1,000+. My range was anywhere from $300 to $700 although I would have bumped it up a bit if I were to find one in near mint condition. I was sad to see that it was much more difficult to find the exact cabinet I was looking for. 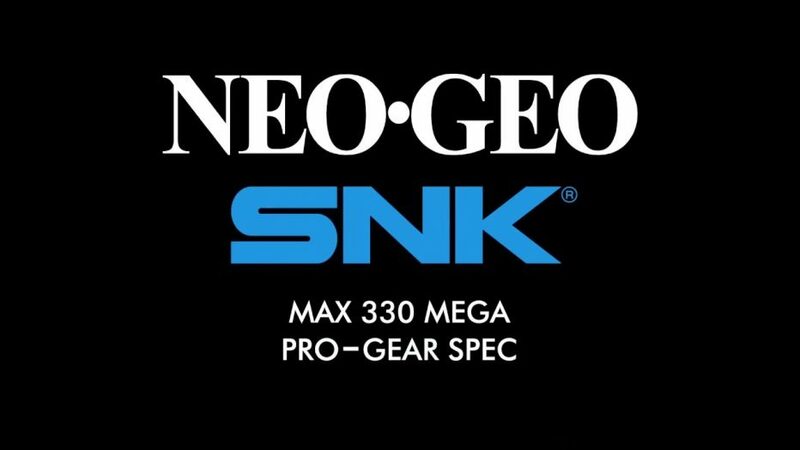 SNK released a whole bunch of different versions and I was looking for one in particular simply because I liked the design—the Big Red as it’s known online. 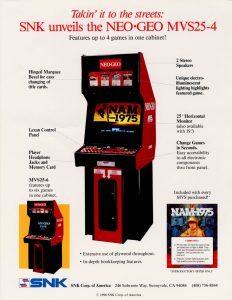 Looking at that classic flyer, you can see the standard cabinet types that SNK released and my clone is a copy of the 4 slot except that it doesn’t have right control panel or marquee. 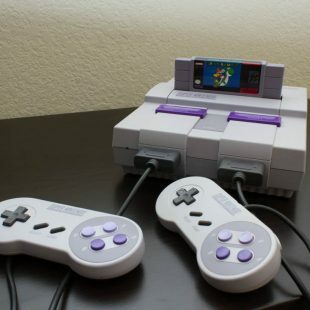 I knew right off that I wasn’t going to keep my clone as is because I would have to do some major modifications in order to install EL panels for the marquee and to get a memory card and headphone jacks installed on the control panel. The was not only out of the budget, but I still had my original plans for this cabinet to consider! So I ended up getting on CraigsList and searching for an MVS25-4 version 3 cabinet that I personally feel is the better looking out of all of them. I suppose it’s mostly because it stands out against other typically designed arcade cabinets and the marquee reminds me of Capcom’s big blue cabinets. Unfortunately, Neo Geos don’t seem to come around my area very often, so when I found a promising lead, I was looking at a six hour roundtrip drive. The ad wasn’t stellar, but it was what I was looking for and the unit had everything in original condition. The seller mentioned that everything was working (except the EL panels) when last on route and really just needed a deep cleaning so this restore will mostly be about cleaning up the cabinet and all components. After picking up the unit, I realized that it’s also going to require some Bondo work and certainly some new vinyl. I was surprised to learn that the black areas of the wood were actually not painted, but covered in black vinyl. I’ve decided to keep it this way which will not only keep it original, but also prevent me from screwing it up with a bad paint job! Instead of having one very long page with everything on it, I’ve broken down each phase of this project into applicable sections. This way you can choose which areas to view as you go along. I don’t currently have the space for this cabinet in my house, so this project will be a slow one for sure. If you don’t see a link in the list below, then I just haven’t gotten to that step yet.